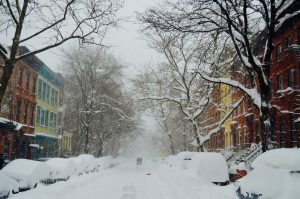 Storm-weary residents in the Northeast braced themselves again on Tuesday for another round of unrelenting snow. Schools closed and workers stayed at home as blizzard conditions made traveling difficult to dangerous. At least a foot of snow blanketed Boston and Rhode Island, while parts of Connecticut received two feet. 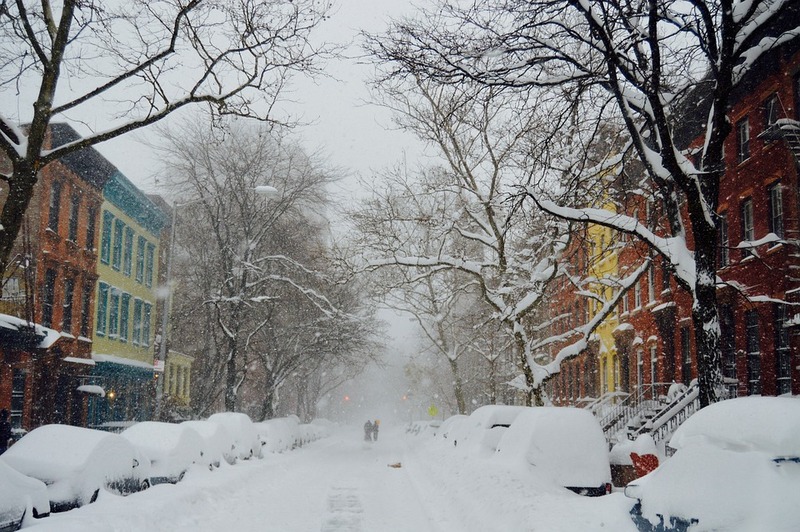 New Hampshire and Maine reported accumulation of 18 to 24 inches in some areas. If there’s an upside to this storm, it’s that Tuesday’s snow was lighter, so it’s not expected to knock out as much power as the nor’easter did last week. But try telling that to one of the 170,000 people who were without power Tuesday evening. Janice James and her four children from Osterville went through three days without power because of the nor’easter. This morning they lost it again when the next winter storm rolled in. “We are freezing,” James said. Meanwhile, transportation was sluggish, as snow covered highways, delayed trains, and canceled flights. MBTA operation was limited during the day, and more than 1,500 Tuesday flights were canceled.